The whole point of your online profiles is to advertise your strengths and help you to develop networks of people who can help each other achieve the success that you deserve. 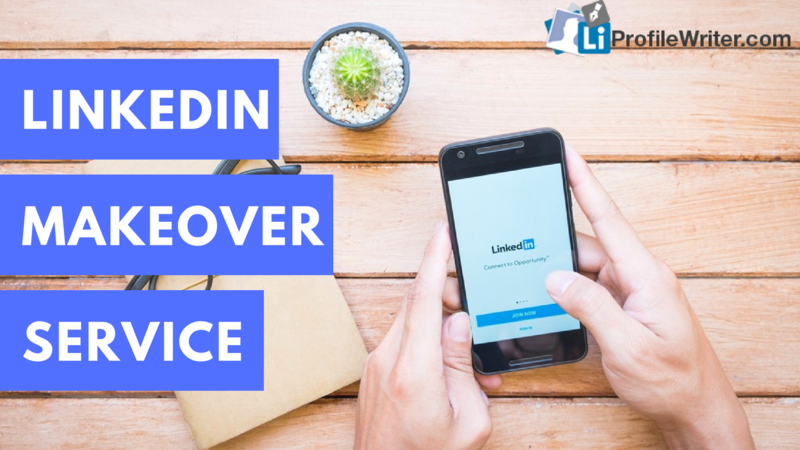 By undertaking a full LinkedIn makeover driven by a professional LinkedIn profile writer, you’ll boost your LinkedIn profile strength to a level higher than any you will have seen before. There are all kinds of tips and tricks to follow that’ll surely get your profile looking the way it should. Your social media success is just moments away when you’ve got the right advice to hand. Improving LinkedIn profile content is a vital step towards creating an online social media presence that displays you and your achievements in exactly the right light. As any LinkedIn profile writer worth their salt will tell you, discovering why and how to create a great LinkedIn profile is important for three specific reasons. You’ll be able to maintain your professional networks with a minimum of hassle. Let your LinkedIn profile stand out from the rest! Hire a professional social media expert to help your success! When it comes to learning how to improve your LinkedIn profile, the first thing you ought to do is discuss the incredible benefits of doing so with a highly experienced LinkedIn consultant. 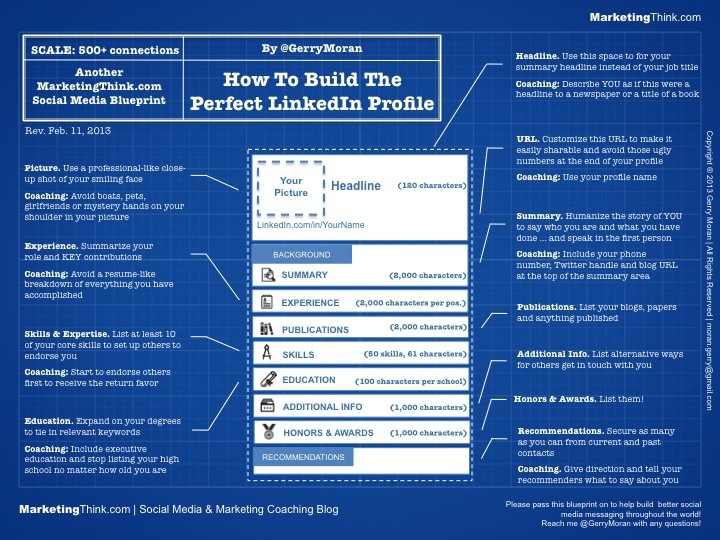 To create exactly the right kind of LinkedIn business profile for your specific needs requires that you follow a number of very important steps. A complete LinkedIn profile makeover starts with choosing the right profile picture: You should follow the advice of an expert when picking a photograph as there are all kinds of subconscious biases that you need to use to your benefit. LinkedIn profile optimization is pointless unless you have a professional portrait that inspires colleagues, employees and clients alike. We’ll crop and edit your photo until it’s wholly suitable for your LinkedIn profile optimization needs. Improving LinkedIn profile content is only worth doing if people actually see it: That’s why you need to start adding all your contacts so they can take a look at how you represent yourself online. LinkedIn services are most useful if you’ve connected it up to your email and every other address book you can think of. Their first impressions of your efforts are highly significant and not easily changed, so you need to speak to an expert who’ll show you all the right moves to make. We can show you how to create a great LinkedIn profile by means of expertly designed templates: Whatever LinkedIn services you need to make your profile the best it can be, we’ll make sure to put you in touch with an advisor who knows exactly how to help you and provide you with the best LinkedIn recommendation sample. Reach the most relevant people: Although our LinkedIn profile editing service is directed improving what is essentially an online resume and networking hub, you need to go offline to reach the most relevant people that are closest to you. Print out some business cards with your LinkedIn address on them so that your colleagues and their contacts will soon add you to their list of associates. Advertise your profile online: Once you’ve reaped all the rewards to be had from our top-notch LinkedIn makeover service, you should continue to do it. Don’t forget to use your email signature as a means to direct clients and colleagues to your LinkedIn site. You can even make a profile badge that you can post anywhere online to attract new contacts. The importance of reviews and recommendations: While our LinkedIn profile editing service will take you almost all the way to great success on social media, you need to do a few things yourself to push your profile to the maximum. Write some reviews and recommendations for your contacts and they’ll surely reciprocate by providing you with a stellar recommendation that could very well get you the job of your dreams. Your success is all about how well you network with the people in your industry: Join special LinkedIn groups that are dedicated to your niche and start to get to know the movers and shakers in your field. Status updates: They are a great way of showing your viewers exactly what you’ve been up to lately, and they also demonstrate that your profile is alive and kicking rather than being dormant and unused. LinkedIn is much more customizable than you might have realized: Ask an expert to go through all the settings with you so that you come up with the ideal approach to your profile management. Get help from the best Li profile writers we’ve got and make your LinkedIn profile makeover now! Given the importance of social media when it comes to maintaining your professional networks and securing yourself your next big promotion, you really need to think about how our experts can help you to succeed by means of our professional LinkedIn makeover service. Examine some of the superb services we offer below and you’ll quickly understand why we can assist you in making the most of your online presence. Profile development to help you make sure that you present yourself in the best possible light to achieve all the goals you aspire to. Our full makeover option will enable you to maximize the potential of your profile. Whether you need help with choosing the best keywords or you want support to fill out all the most important information fields, our experts will have you covered. If you want a truly personal touch, we offer a coaching service that’ll guide you towards being able to maintain your profile with a professional effortlessness that you would never have thought possible. Whether you need a top strategy or want to transform your tactical approach to your career, our experts will put you in pole position for success. We provide a comprehensive discount package if you want the full works to improve your profile and truly boost it to the next level. Take your chance to upgrade your LinkedIn profile with the help of the real professionals! We take a strategic approach that goes well beyond merely writing your profile. We use specially chosen keywords to maximize your profile’s exposure. We make sure you look the part by including all the right professional activities. We help you to broaden your network, giving you access to exactly the kind of people who’ll assist you to advance your career. We’ll develop a personal brand for you to attract clients, colleagues, and other partners. By getting a full LinkedIn makeover provided by a consummate professional who knows exactly what they’re doing, you’ll give yourself so many new opportunities that you won’t know where to start. Follow the expert advice passed along by our highly skilled social media gurus and you’ll put yourself way ahead of the pack when it comes to that promotion you’ve been gunning for. Hire a professional and you’ll stand head and shoulders above the competition. Make the most of your chance at a full LinkedIn makeover. Hire a professional social media expert and reach your full potential! Thank you Sandy! Thank you for all the help. I'm very happy with the outcome. Take care!